Hello Everyone! It is finally Friday, thank goodness! 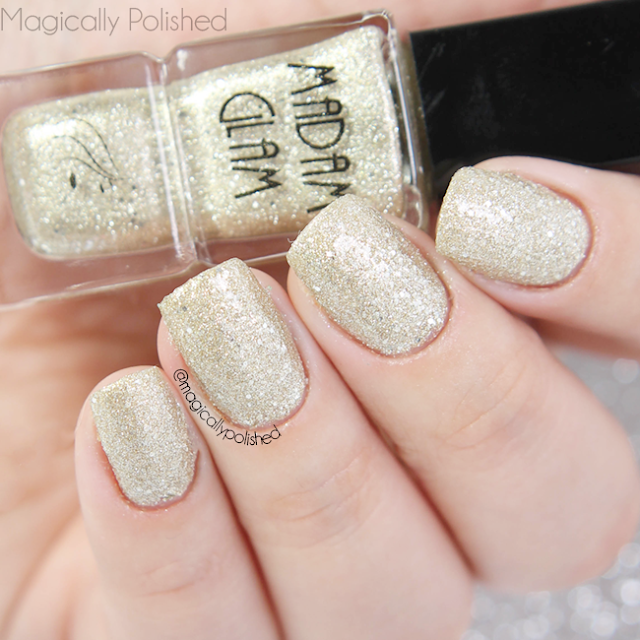 For today's post, I have some swatches and nail art from Madam Glam. Last year I had the opportunity to try out their polishes for the first time and was very impressed, I just had to try out some more of their colors. Based in the Fashion District in New York; it is a French inspired line sold exclusively online. 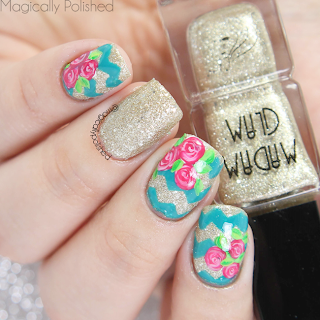 Sandy Beach- is a gold glittery textured polish, similar to OPI Honey Ryder and Zoya's Godiva Pixiedust. The formula on this polish seems a bit thick. 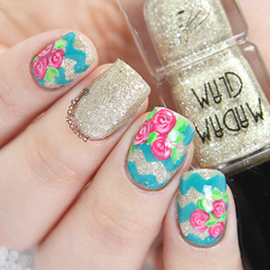 However, it applies perfectly on the nails and completely opaque. This is one coat, with no top coat. Côte d'Azur- is a really pretty cadet blue and one of my favorites! The formula on this polish was great, it was a nice consistency and it flowed nicely onto the nail. I used two coats, sealed with top coat. At first sight I loved the color combo of Sandy Beach and Côte d'Azur, and knew it would be perfect for floral design I wanted to do. I love how it came out; I just couldn't stop staring at it! Chocolate Dream- it is a brown tone creme, and truly chocolate lovers dream...only for your nails. The formula on this polish was smooth, with a nice consistency and flowed nicely onto the nail. I used two coats, sealed with top coat. For this look, I created a simple design using, another great color combo, Sandy Beach and Chocolate Dream. I used Whats Up Nails wide straight tape and skinny straight vinyl to create the "v" look. Found the One- is a gorgeous deep red creme, with a hint of brown undertones. The formula on this polish was very smooth, with a nice consistency and flowed nicely onto the nail. I used two coats, sealed with top coat. 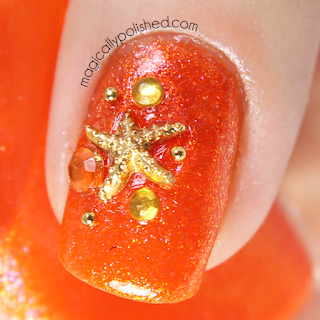 Tanning Session- is a vibrant and bright orange jelly, with micro orange and pink glitters throughout the polish. 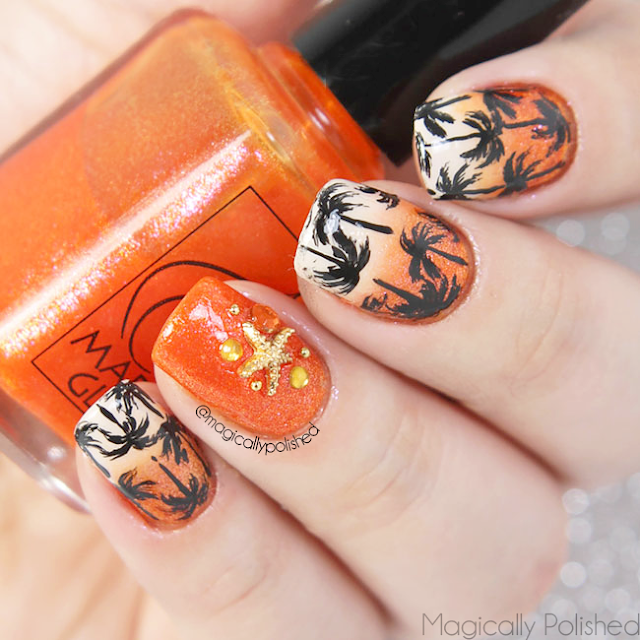 This polish is perfect for the summer! The formula on this polish was smooth and easy to apply. Since it's a jelly base, you can apply one coat of orange base and one coat of Tanning Session. This is three coats, sealed with top coat. Of course, I had to do a summery theme, It was meant to be! 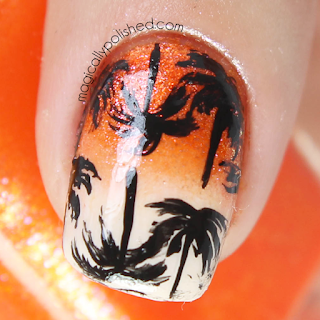 For this look, I was inspired by some nail designs all together, gradient, palm trees, and an accent nail...so I combined all three. For the gradient, I used Tanning Session and OPI My Vampire is Buff. I then added the palms and accented the ring finger with some charms. 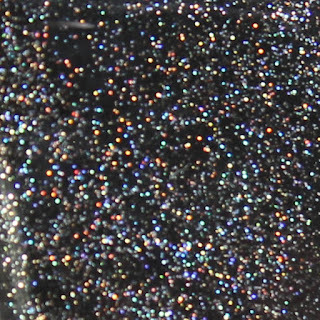 Galaxy- is a black crelly base with tons of holographic glitters throughout the polish and another favorite of mine! The formula on this polish was smooth and easy to apply. 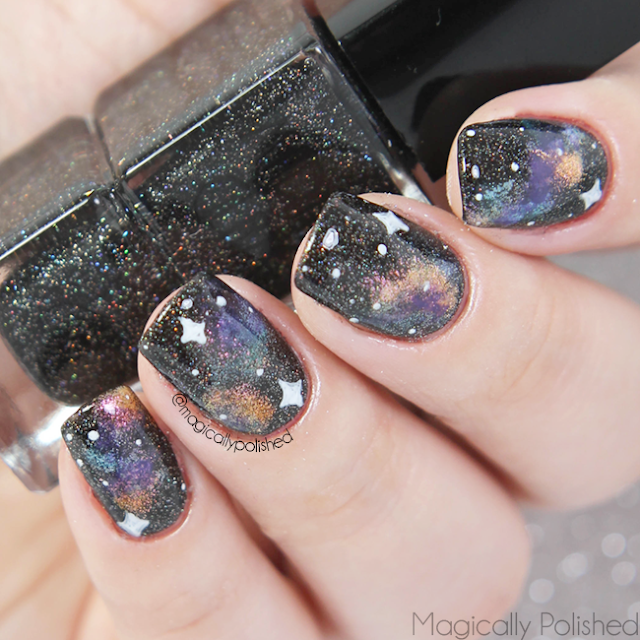 Since it's a jelly-like polish, you can apply one coat of black base and one coat of Galaxy. This is three coats, sealed with top coat. 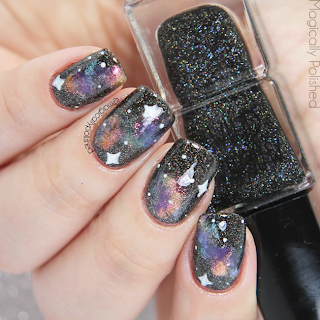 I couldn't help but create a galaxy theme nails with this polish. I used Tanning Session, Côte d'Azur and a purple polish, for the galaxy colors. I then added a few stars for the finished look. 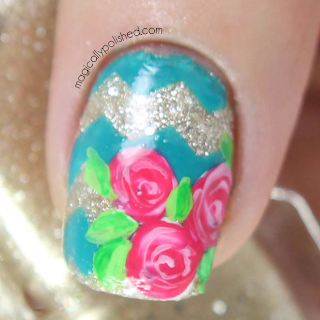 I seriously love how these look one of my best yet, don't you think?! Overall I am very impressed with Madam Glam polishes and their unique shades. Their formula requires minimal coats which makes the application easier and fast drying time, especially with a glossy finish. 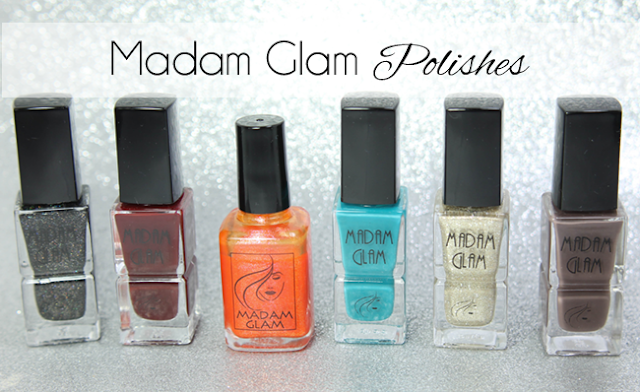 You can purchase this set from Madam Glam for $10.95 each on their site. They are now offering on their site, buy 3 or more and enjoy free worldwide shipping. 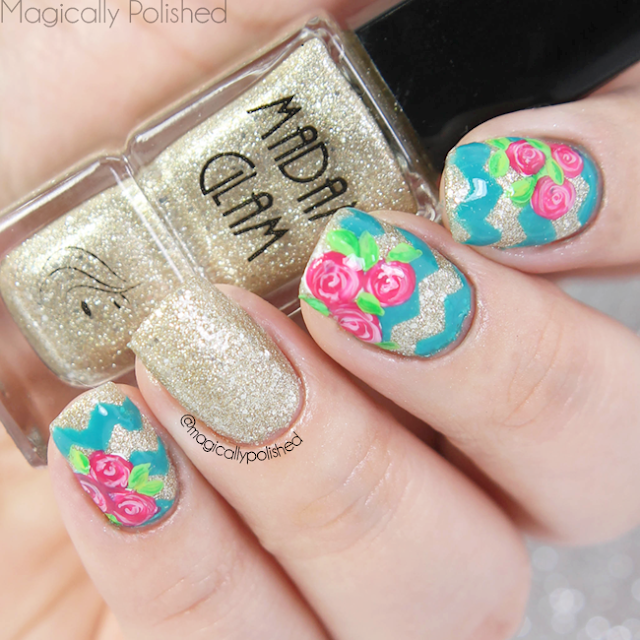 Get 30% off on their orders with coupon code magicallypolished30!